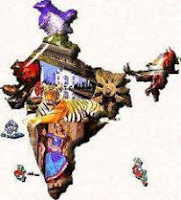 India GK Question Sample Paper 12: India General Knowledge (GK) Sample Question Paper No. 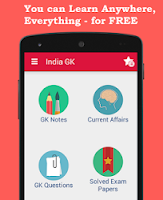 12 with Collection of India GK Questions under GK Quiz in PDF @ India GK Sample Papers. Q.191. Who setup Home rule league in Poona ? Q.192. Who among the following named Jamshedpur after Jamsedji Nusserwanji Tata ? Q.193 Which of the following software is used to view web pages? Q.194. Which sikh guru completed the compilation of Adi Granth ? Q.195. Who founded SERVENT OF INDIA SOCIETY ? Q.196. DARBAR-I-AKBARI was written by ? Q.197. Who among the following presided over the first Buddhist council held in Rajgriha ? Q.198 What does GUI stand for? Q.199 Which one of the following is not an Operating System? Q.200. Which one of the followin sufi saint refused to meet sultan alauddin Khalji ?